Many small individual actions to reach a great goal: protect the environment and have a better world to live. And…, of course, where to spend unique holidays! It is the spirit of our company, that operates in the hearth of north-west Sardinia, in the Regional Natural park of Porto Conte and in the Marine protected area of Capo Caccia-isola Piana. For us the “green philosophy” it’s a must. And we believe in it strongly. 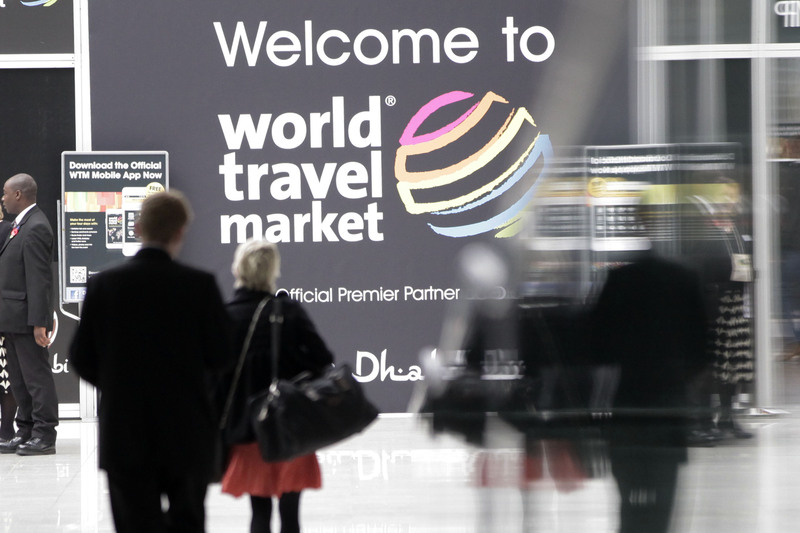 That’s why in this first year we chose to participate at the World Travel Market in London (5-8 november), and we joined the WTM World Responsible Tourism Day 2012, planned on 7th november. Price includes: stay at Country residence Podere Monte Sixeri in bed&breakfast formula, 4 dives* (2 double consecutive), 1 guided tour in the headquarter/museum of the Natural Park of Porto Conte, 3 snacks, shuttle service to accommodation and activities. *Tank, weight-belt, boat, logistics. 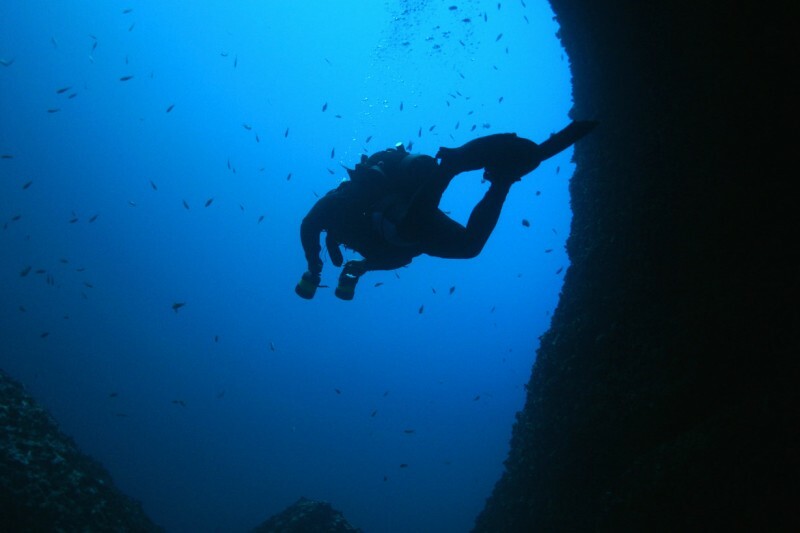 No decompression dive. It is, without a doubt, the most important among the several coastal towers in the area of the Regional Park of Porto Conte; dominating the Tramariglio bay and the tourist centre ArchiMete. It was realized in chalky material at the end of the Sixteenth century, during the Spanish dominion. Today, it is still in good conditions, and from the inside, the dome vault and pillar on the terrace are visible, with the holes which allowed light to penetrate the structure. The tourist centre ArchiMete is a perfect departure point for hiking trails along the several naturalistic paths of the Regional Nature Park of Porto Conte. 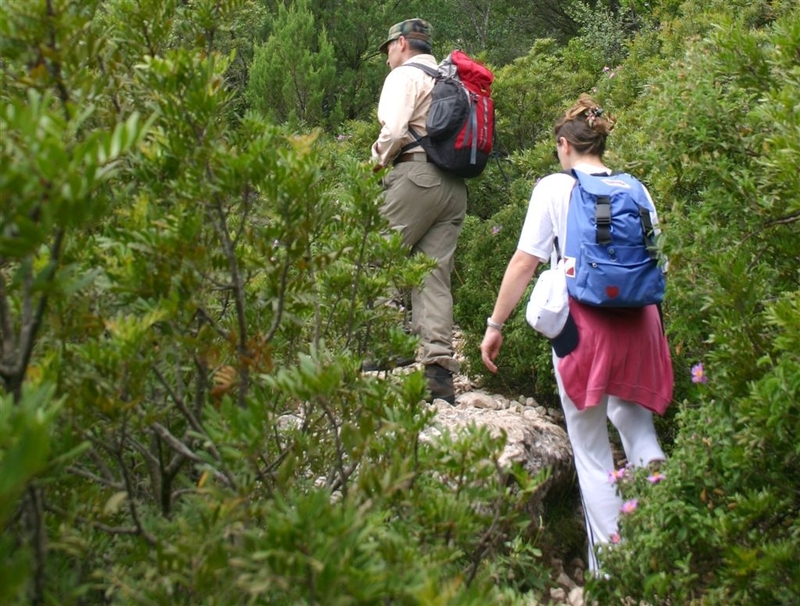 This activity is held with certified tourist guides leading groups of excursionists to the discovery of naturalistic, landscape, and cultural heritages present in this area. Click on the nearby icons to choose how to live your experience! 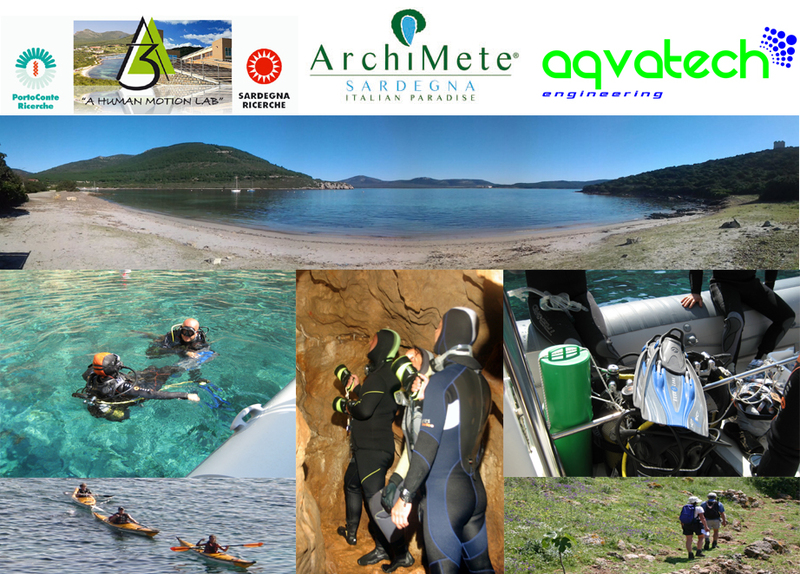 The sport centre ArchiMete Sardegna is located in the heart of the Regional Natural Park of Porto Conte, a natural protected area of great value created in 1999. 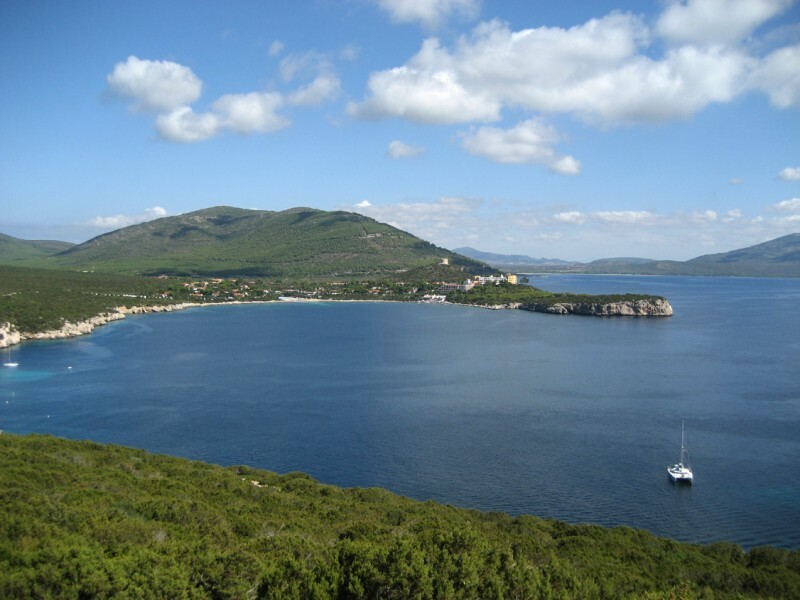 The park covers an area of 5,350 hectares in the territory under the Municipality of Alghero, and presents very varied and unique landscapes. 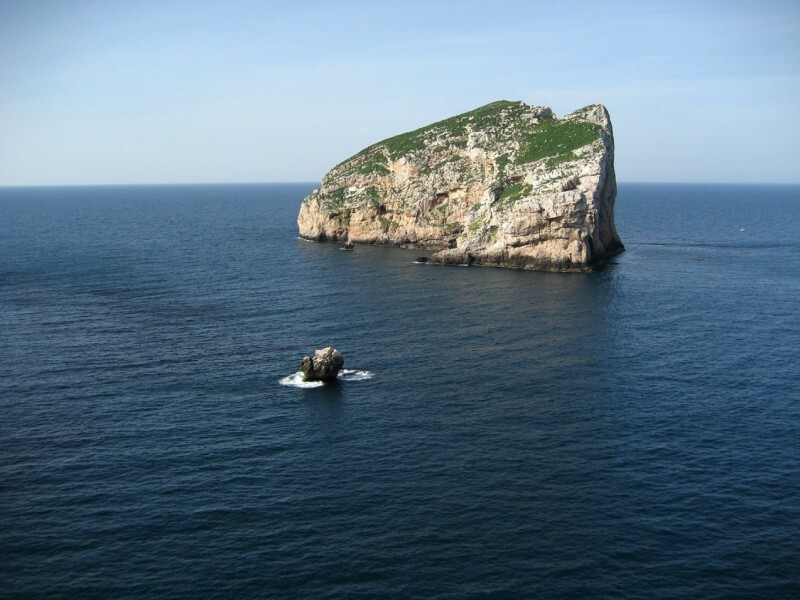 The coastal area is located between Capo Caccia on the western side and Punta Giglio on the eastern side; and is characterized by wide cliff ridges, which fall off into the sea; alternating with less steep stretches of rocks. 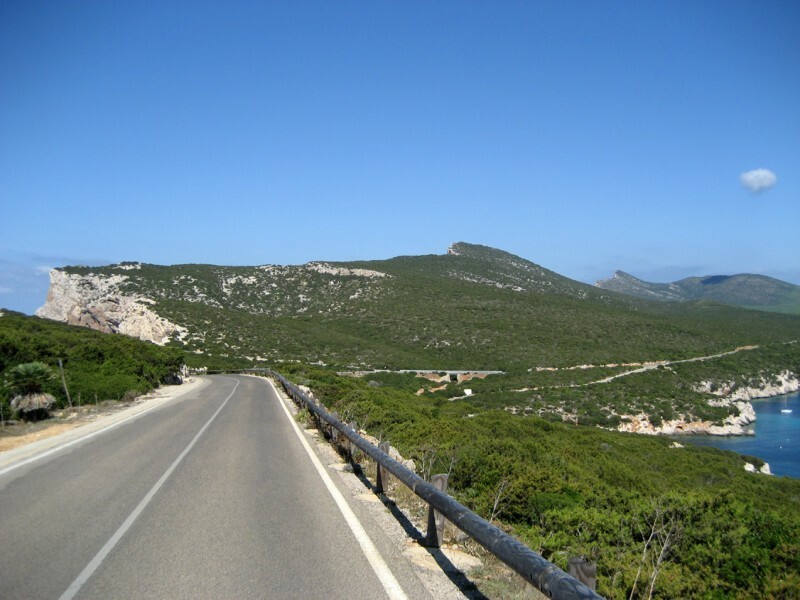 Instead, the cape hinterland is dominated by soft and small hills where wild animals can often be spotted: from wild boars to deer; from fallow deer to weasels; including hedgehogs and the white donkeys of the Asinara, which can be seen within the state owned forest “Arca di Noè” (Noah’s Ark) at Le Prigionette, a few hundred metres far from the tourist centre ArchiMete Sardegna. A few kilometres further north is the Baratz lake, the only natural lake of Sardinia and privileged destination of hiking, biking and riding tours, which passes through the area of Porto Ferro. Extending for half a kilometre, it is a real natural outdoor laboratory, thanks to the presence of several species of flora and fauna. On the lake’s shore the flourishing maquis include Cistus, wild rosemary, myrtle, lavender, and strawberry plants; and among the bushes, it’s easy to spot birds like the coot and the wild duck, while tortoises peep out a few inches from the surface of freshwater. Another reservoir of great naturalistic and historic interest, is the pond of Calich, on the western side of Alghero, near Fertilia. The pond is inside the area of the regional park of Porto Conte and represents an ecosystem for different plants and faunal species. The Roman bridge stands out, and is, along with the Roman villa of Sant’Imbenia, one of the few ruins left of the Imperial Age. We must go back about 6000 years, to the Neolithic age, to get an idea of the history of the Alghero territory. The area is full of stunning historical and archeological finds, dating back to the Prenuragic and Nuragic ages, like the hypogean necropolises of Santu Pedru (Saint Peter) and Anghelu Ruju (Red Angel, or rather the Devil), as well as the Nuragic villages of Palmavera and Sant’Imbenia; all places which are easily reachable from the tourist centre, ArchiMete Sardegna. 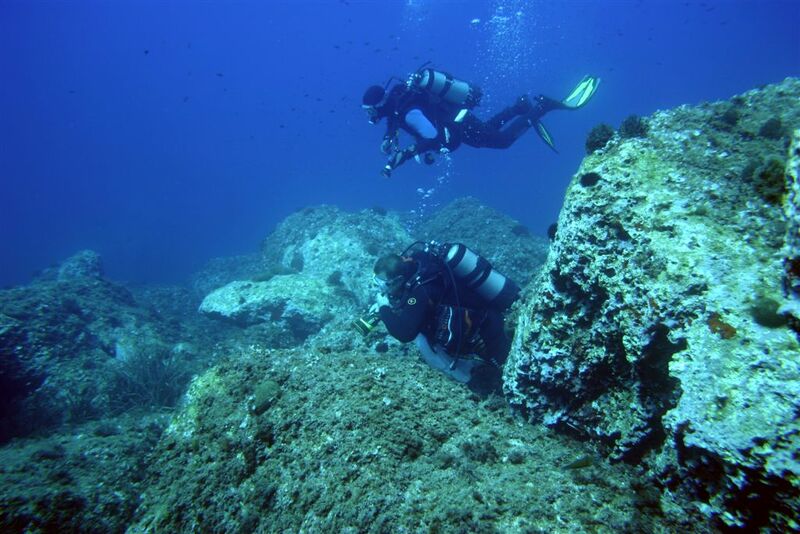 Specifically, in Sant’Imbenia, during the Ninth century B.C., Phoenicians established an important commercial port by exploiting the natural shelter of the inlet of Porto Conte and the presence of freshwater springs. Food & Culture: a mix that belongs to Italy. In particular to Sardinia, the cradle of nuragic civilization, but also of wonderful typical products manufactured by skilled craftsmen: winemakers, shepherds, butchers, fishermen, artisans of wood, metal, stone, leather and thousand other raw materials offered by the land of Sardinia. 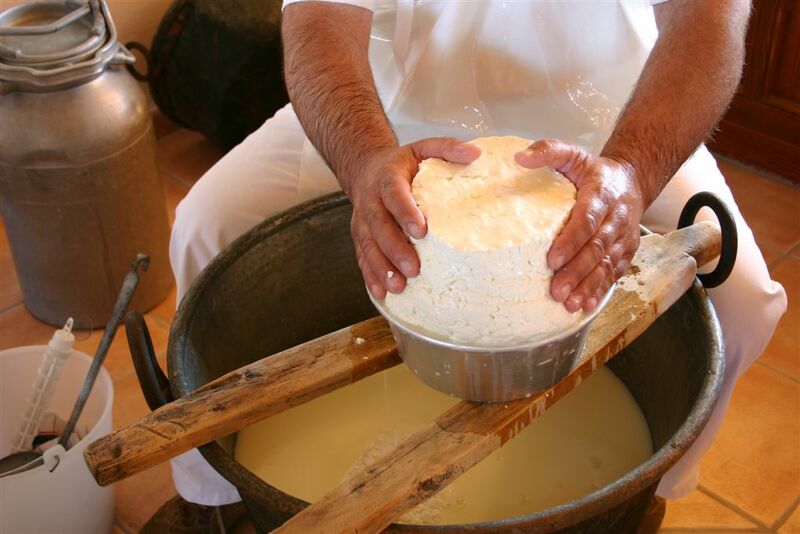 Wine, cheese, olive oil, salami, bread, friendship and joy are the tasty toppings of a tour that combines the cultural aspects of the north-west Sardinia to the culinary tradition of the island. Aboard a comfortable air-conditioned minibus we discover the main archaeological sites inside and around the Regional Nature Park of Porto Conte. Such as the necropolis of Anghelu Ruju, the Nuraghe Palmavera, the promontory of Capo Caccia (Unesco heritage) and the Nature Park of Porto Conte. Its headquarters offers a botanical garden and nature trail, and a museum dedicated to the old penal colony of Tramariglio. The tour alternates cultural moments to visits to famous local wineries, farms and dairy laboratories where tastings of typical products are not an option, but a real must! 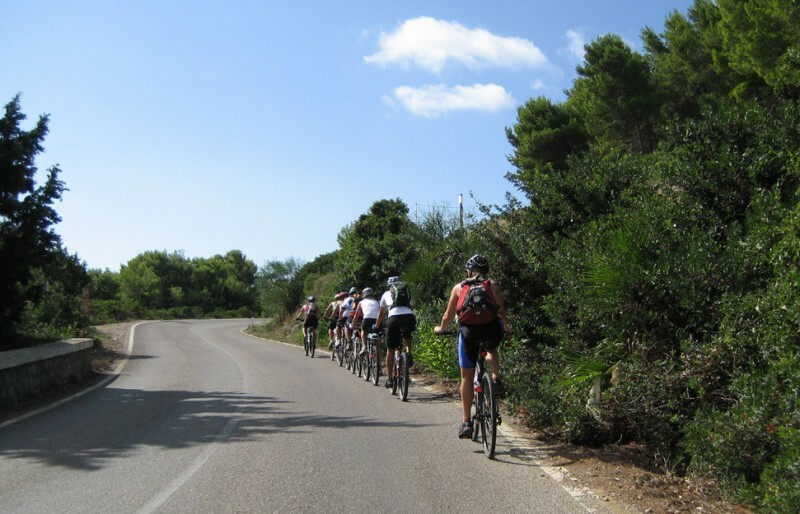 The tour starts from Alghero (participants are picked up directly at the accommodation) and lasts half day. From the enchanting seabed to the Caribbean coasts; from the plain rich in vegetation and Mediterranean maquis, to the mountains which are perfect for unforgettable day trips. 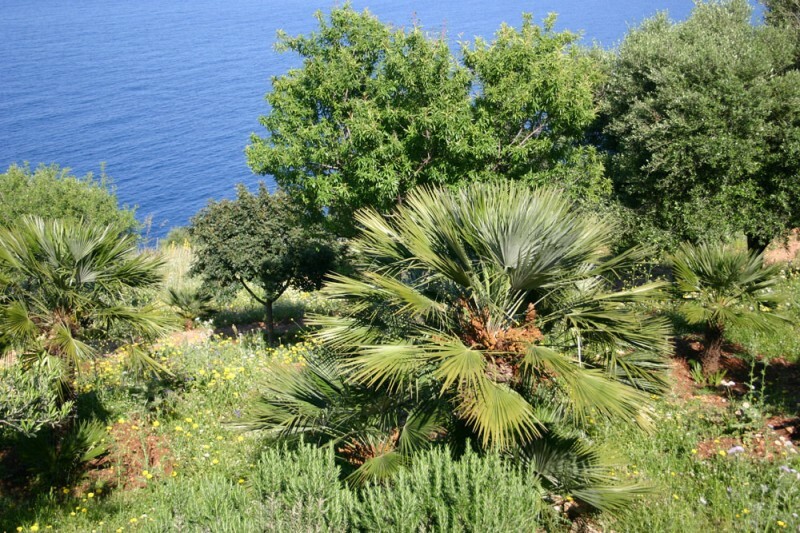 The territory of Alghero offers every kind of amusement, in close contact with the most wild and uncontaminated nature. The visitor’s eye is caught by the promenade of Alghero and by the unmistakable tortoise-like outline of Capo Caccia, a primary place of naturalistic and cultural interest, which is the heart of two reserves: the Marine Protected Area of Capo Caccia-Isola Piana and the Regional Natural Park of Porto Conte. We are located in the heart of the Marine Protected Area of Capo Caccia-Isola Piana and the Regional Natural Park of Porto Conte, directly looking out over the pebble beach of the Tramariglio bay. An out-and-out naturalistic, environmental, and well-positioned paradise, since the many diving, snorkeling and land tour points of the two natural reserves can easily be reached from the bay, which is well-sheltered from the winds and rough seas. 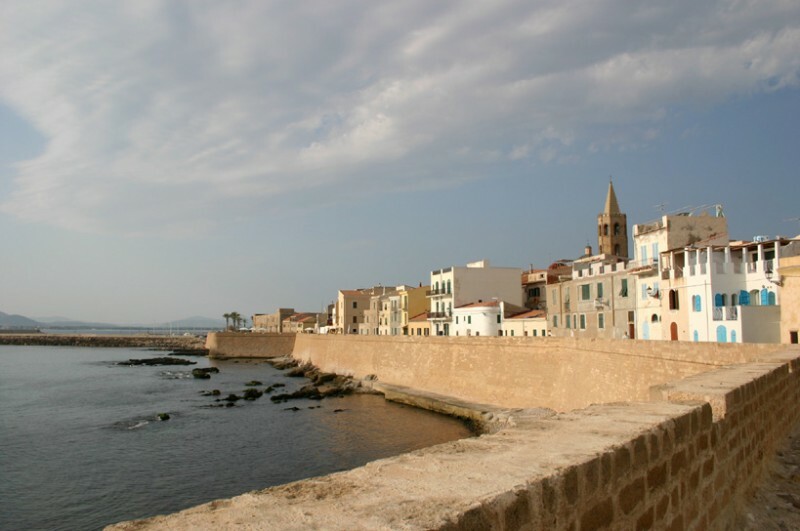 Therefore, the proximity to the town of Alghero, is an explicit invitation to organize a fascinating tour among the historical and cultural treasures of the ancient Catalan town.